A TOP of the table clash between Aberystwyth and Llanwrda took place at the Geaufron this weekend (Jun 25) . Upon winning the toss visiting , captain Adrian Davies opted to bowl first in overhead conditions. Aber made a steady start with openers Price and Shaw looking to subdue the opening threat of Davies and Nicholas . However, with the score on 24 , Shaw edged a delivery from Nicholas that was superbly taken by the wicketkeeper. Nat Burrell joined Price in the middle as both set about building a platform for the Aber innings , with Price in particular looking to be positive at every opportunity. Price reached his half century , but just as he looked set for a big score , he was dismissed, caught at deep midwicket by the slow bowling of Nigel Clarke. His dismissal brought to the crease Sion Lathwood , who looked to immediately take the attack to the bowling , whilst Burrell continued to time the ball nicely at the other end. Burrell was eventually dismissed by Clarke for a nicely made 41. 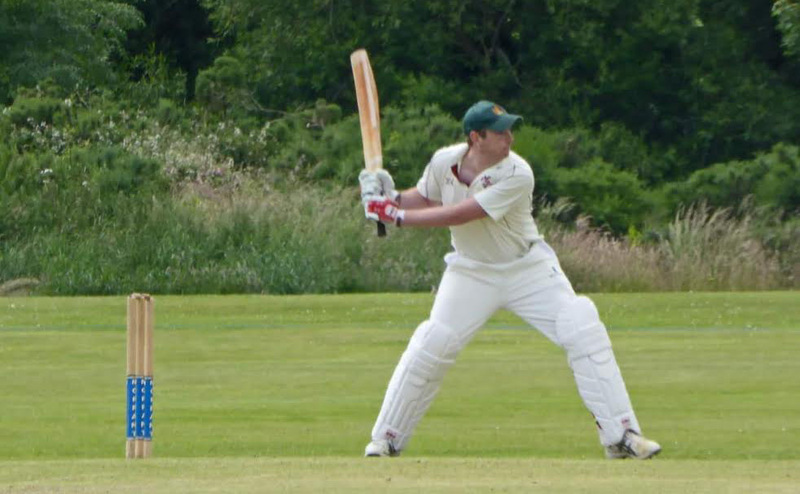 Lathwood (50) and Iwan Roberts (24) looked to increase the scoring rate with over running out and struck a number of fine boundar ies, Roberts striking what was shot of the day with straight six over long on. Youngster Zaid Kahn , 18 not out , and Harri Edwards , 25 not out , completed the Aber innings with an array of boundaries as the innings ended on 235 – 4. In reply, Llanwrda were under pressure from the outset to maintain the required run rate , but w ere not allowed to do so following some accurate bowling from Bennet and Davies. The first wicket fell to Bennet as he dismissed the inform Llanwrda skipper Davies for just one, helped by a shapely taken catch in the covers from Aber skipper Daniel. Daryl Davies then had Archer caught one handed by keep e r Shaw for just three . Wickets continued to fall at regular intervals following the early dismissals, aside from Nigel Clarke who provided some resistance until he was caught and bowled by Lathwood. The Llanwrda innings ended with them being bowled out for 95 with the wickets being shared between all bowlers . Spinners Daniel and Dunbadin ended with 3-14 and 3-5 whilst seamers Davies, Lathwood and Bennet all took a wicket each.